Andreea Diaconu, Anna Ewers and Imaan Hammam star in the new H&M's campaign while award-winning actors Winona Ryder and Elizabeth Olsen dance in the campaign film. For Spring 2018 at H&M, fun, feminine and floral-printed pieces take on voluminous shapes for statement-making modern women all around the world. Wardrobe heroes such as flowing dresses, wide-leg trousers, jeans and sophisticated blouses are updated with embroidery, asymmetric hems and cascading ruffles. Black and white dominate with pops of red and light blue. The H&M Spring 2018 collection will launch in stores and online on 22 March. The film takes us to Buenos Aires, where a celebration of female empowerment and friendship spills out from a local café and into the streets. 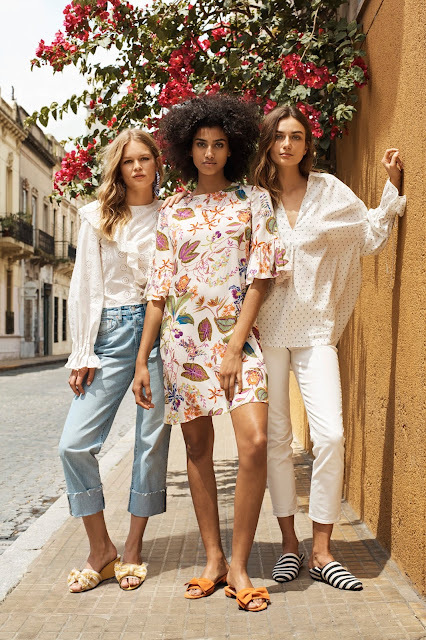 Meanwhile, the print campaign, also shot in picturesque Buenos Aires, stars Andreea Diaconu, Anna Ewers and Imaan Hammam. "I love the way that the campaign really celebrates women in a very authentic way. I found that to be really refreshing and much needed right now in this culture. They are celebrating themselves and each other,”says Winona Ryder. “It was wonderful to see how all the women on set were able to express their own personalities through the strong yet relaxed shapes of the Spring collection. The voluminous pieces in particular, moved so beautifully in the dance sequences,” said Pernilla Wohlfahrt, H&M’s Design Director. 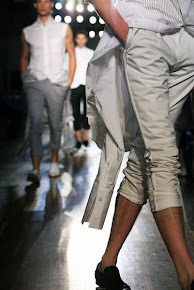 To catch all the fun, dance moves and fashion, watch the film!